Official statistics, according to a report issued by Quds Press, revealed that 53,998 Palestinian male and female students and 3,840 Palestinian male and female teachers, as well as a number of the staff of the Palestinian Ministry of Education and its institutions, were subjected to attacks by the Israeli occupation forces (IOF) during the last year; these attacks included killing, wounding, arrests and detentions, as well as house arrests, restriction of movement at checkpoints and denial of safe access to schools. 255 Palestinian schools were subjected to attacks by the Israeli occupation and the settlers, the Israelis attacks against Palestinian schools included, incursions, shooting and bomb attacks, causing material losses, in addition to disabling the educational process completely or partially. Over the last year, 22 students and a Palestinian teacher were killed, in addition to one of the Ministry of Education’s staff, while 265 students, teachers and employees of the ministry from the northern West Bank provinces were arrested, 75 students and 30 teachers were stopped and investigated by the IOF at checkpoints. The number of the wounded students, teachers and school staff reached 1,019 Palestinians, the causes of their injuries varied between exposure to live or/and rubber bullets, fragments of shells, rockets, severe beatings, and other causes. With regard to preventing students and teachers from safe access to schools; data released by the Palestinian Ministry of Education showed that, the students of 57 schools were delayed at checkpoints and electronic gates installed on the roads leading to them. According to the ministry’s data; the IOF imposed house arrest on 17 students from Jerusalem schools, and 15 Palestinian students in Israeli schools in the occupied city of Jerusalem, for various periods of time. The ministry said in its report that education was partially suspended in 35 schools during last year, for varied reasons, mostly due to the closure of checkpoints or streets leading to the school, firing of sound and tear gas bombs near those schools, settlers’ incursions and other causes. 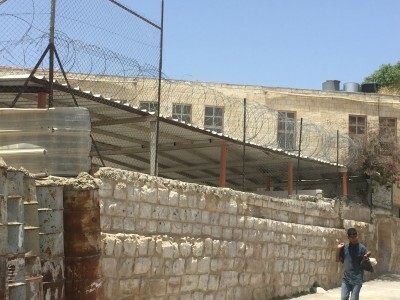 Regarding the attacks on schools, the ministry data showed that 54 schools had been subjected to the Israeli occupation’s violations, during which tear gas canisters, sound bombs and bullets were fired toward the school yards and classrooms, as well as beating teachers and students severely, and storming the school yards. The Israeli practices against the educational process in Palestine resulted in, according to the ministry’s report, the cancellation of 9,322 courses, as well as the delivery of orders to stop the work in two schools.